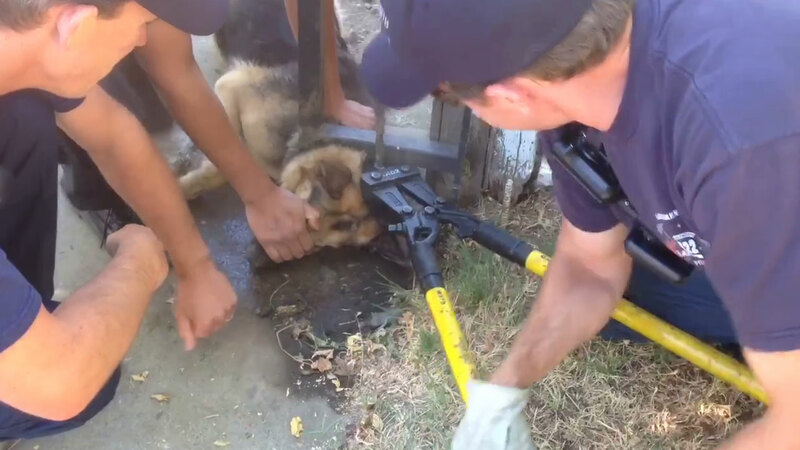 WEST SACRAMENTO, Calif. -- Firefighters in West Sacramento, California rescued a German shepherd that had gotten its head stuck in the bottom of a fence. In the morning hours of July 14, the West Sacramento Fire Department responded to rescue the dog. Two firefighters covered the pup's eyes and tried to comfort him while the bar near his head was cut. In a few seconds, the dog was able to pull his head free. Firefighters said the dog wasn't injured and appeared happy and healthy. Copyright © 2019 ABC, Inc., WABC-TV New York. All Rights Reserved.